Efforts by court administrators to reduce the number of out-of-state mesothelioma cases being filed there have reportedly been successful – which is not great news for potential plaintiffs here in Boston. Our Boston mesothelioma attorneys know that effective changes made to Philadelphia Court of Common Pleas actually took place last year. However, we are just now learning about the chilling impact. There were actually multiple reasons why Philadelphia was such a hub for cases of asbestos litigation. For starters, it is in this location where hundreds of thousands of soldiers have served over the years in the Philadelphia Naval Shipyard. It was actually the first naval shipyard in the country. The site is now home to a booming industrial complex. But for years, it was a site were countless workers were exposed to inordinate amounts of asbestos – the material containing fibers that cause mesothelioma. This alone makes it unsurprising that many mesothelioma lawsuits were later filed there. Secondly, it is no secret that the city had become known for high jury awards in cases where plaintiffs were successful. But this was only part of it. The fact is, mesothelioma cases were far more likely to actually be heard than in many other parts of the country. The city was renowned for its effective handling of mass tort cases through the creation of the Complex Litigation Center. This was a separate court system founded in the early 1990s and equipped to handle a flood of incoming asbestos litigation. The general idea had been that having a separate division of the court, staffed with its own full-time judges familiar with the complex legal issues and complicated science that consumed these cases, would be far more effective. And they were right. The court was renowned nationwide for its phenomenal ability to process a large number of highly technical cases through the system quickly and efficiently. It worked so well that the Complex Litigation Center began taking on the influx of pharmaceutical cases as well. So it’s no wonder out-of-state attorneys sought to have their cases heard there – in hopes they might actually be heard. But the local courts contended they were being overburdened. As such, a number of changes were made. Among those changes, punitive damages in mesothelioma cases are automatically deferred. 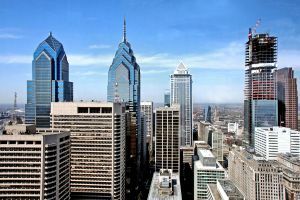 For a while, all discovery in mesothelioma cases was required to actually take place in Philadelphia – a clear deterrence to out-of-state lawyers – though that requirement has since been reversed. And finally, asbestos cases were consolidated into groups of eight with similar medical issues, with only three in each group at any given time allowed to proceed at trial. It’s expected the rest will then either be settled or regrouped for a later trial date. Court administrators note that these changes have resulted in a reduction of mass tort filings in the area from nearly 2,700 in 2011 to about 815 last year. What our Boston mesothelioma legal team wants to ensure our clients recognize that such measures won’t deter us from filing out-of-state if we feel that is in the best interest of the client and/or the case. We also want to assure those with legitimate mesothelioma claims that you and your family ARE entitled to compensation, and that we are fully committed to helping you obtain it, regardless of the hurdles laid before us.